It’s no secret that I really love jackets. I believe they are a must-have for any wardrobe, and today I am showing you guys my current jacket collection. December was really a jacket month for me because all the jackets you are about to see I got all last month! So without further or due let the jacket showcase begin! I hope you all enjoyed today’s video. It really felt good to be back in the fashion saddle! I wasn’t able to find all the jackets in the video, but I was able to find a few that were similar. Here is a similar jacket to the pink jacket it have. It’s a slightly deeper color, and has a hood! Here is a similar jacket to my MJ Inspired one from Target. Also click here to check out the jackets in general over at Target.They are amazing! 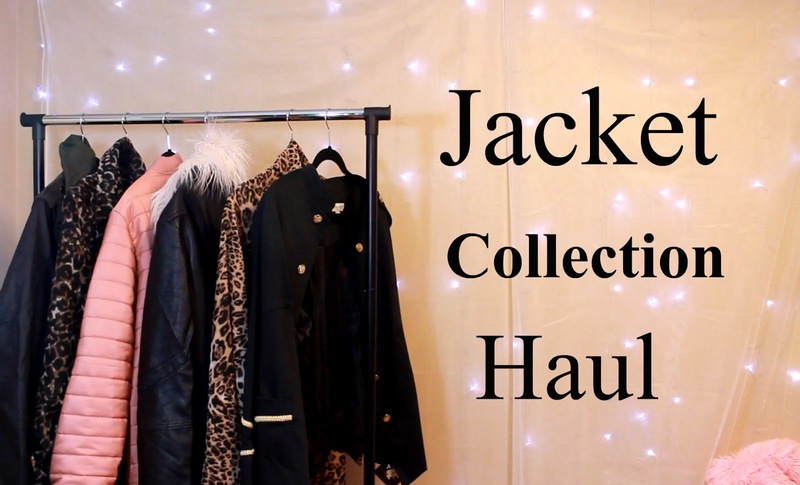 So ladies and gents that concludes today’s jacket haul! I hope you all really have enjoyed! Be sure to follow me on social media if you haven’t already. They are all linked above! I love you lots like tater tots, and I will see you on Friday with another video! New Year Look Back Tag!